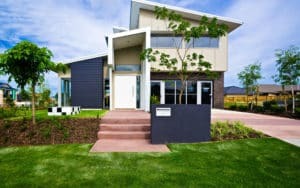 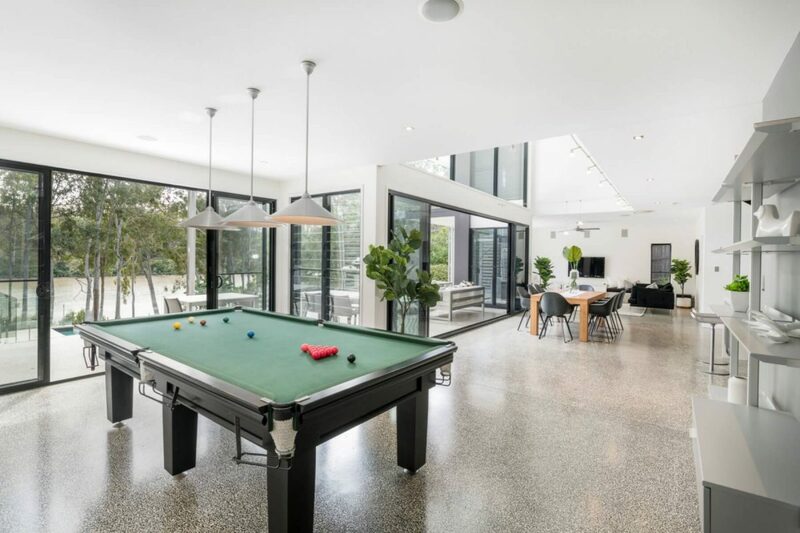 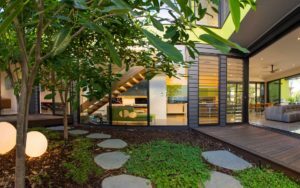 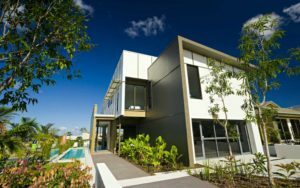 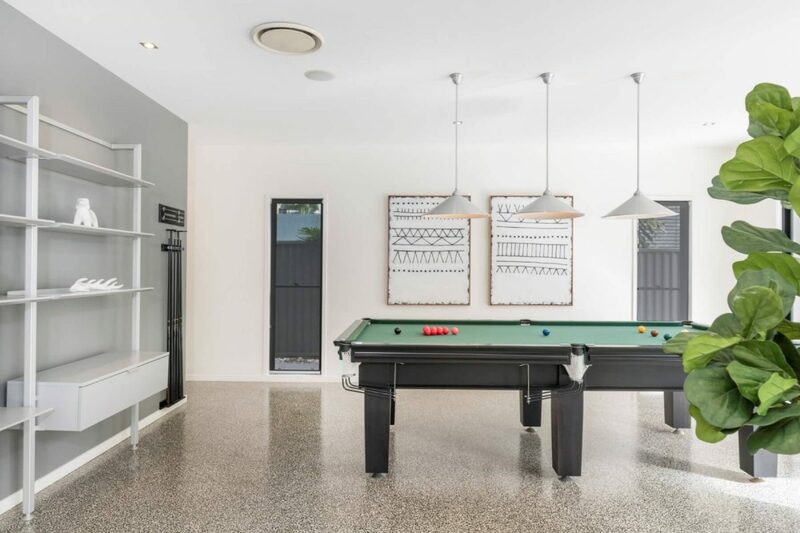 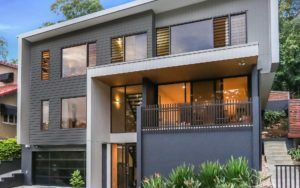 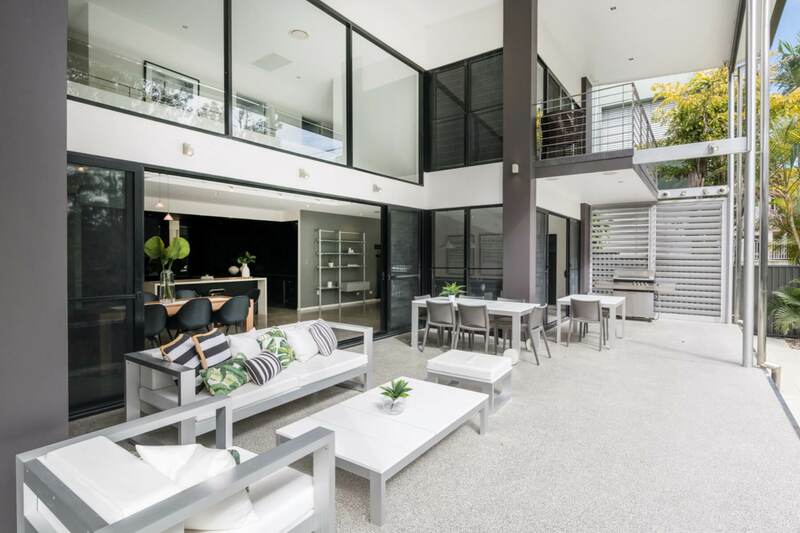 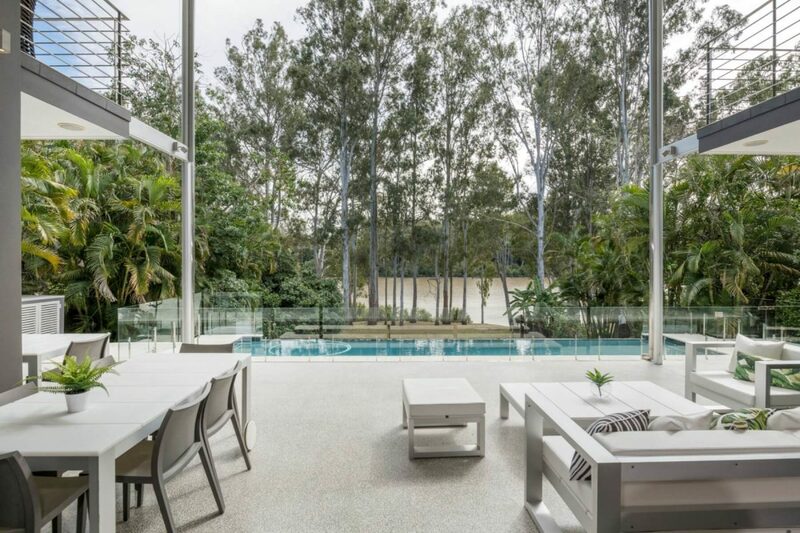 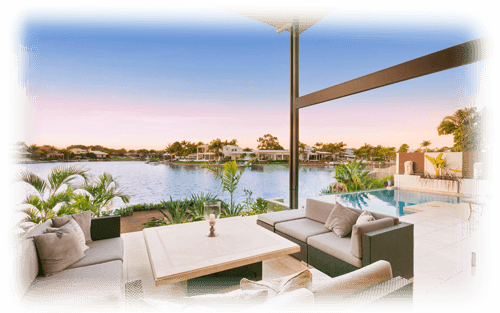 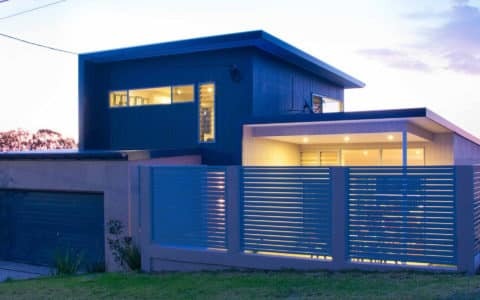 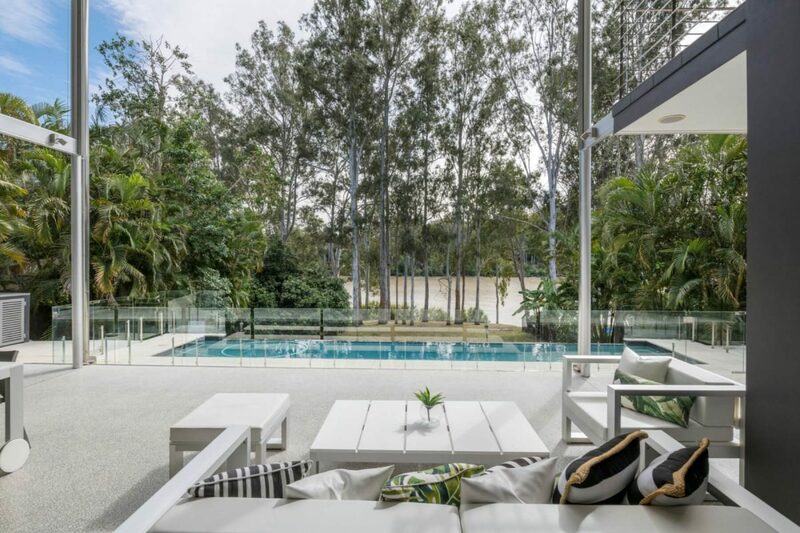 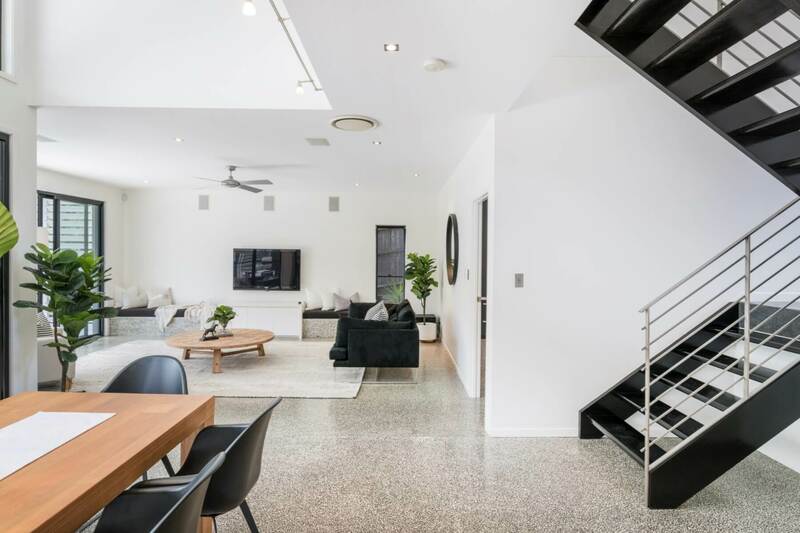 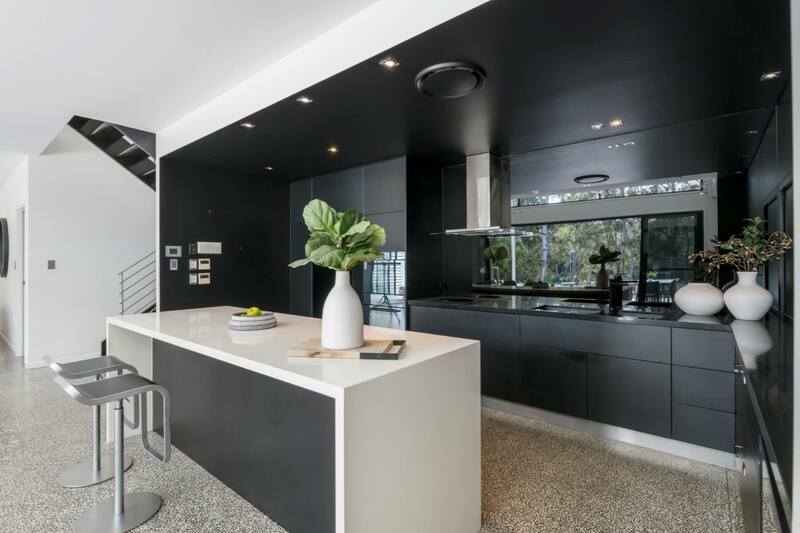 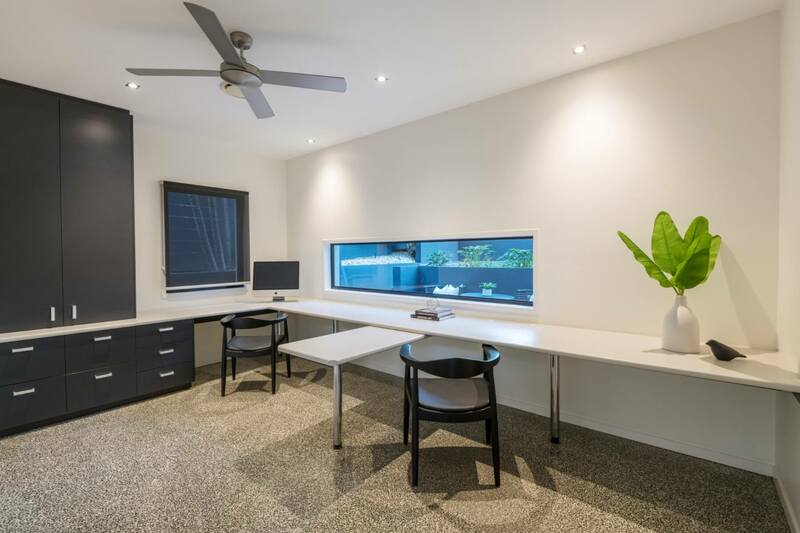 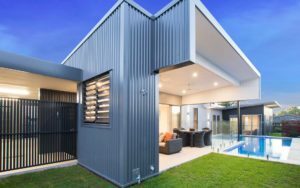 "Each part of this home is linked to the wide river views and sits within an expansive two storey outdoor entertaining space. 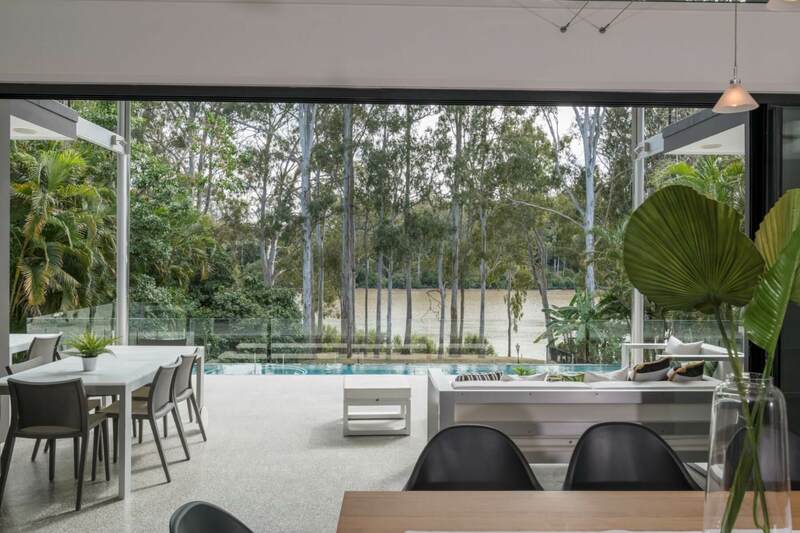 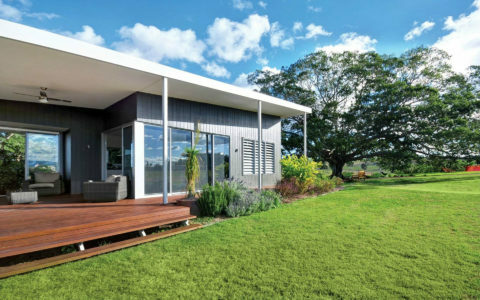 Hard to beat outdoor living and a perfect northern aspect"
This site gave us a fantastic opportunity to design on a wide block with great river frontage and views through the eucalypts. 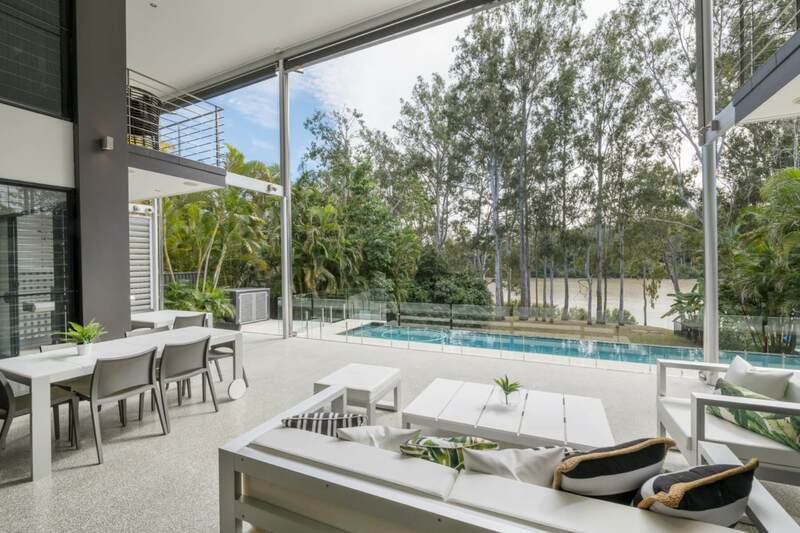 With such a wide block, nearly every room has views to the water and is connected to the spacious outdoor entertaining area. 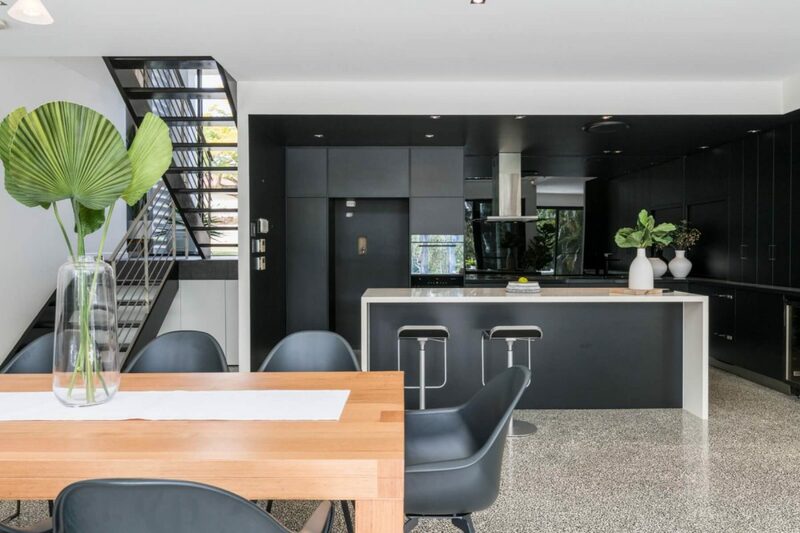 There is a void space to the kitchen and dining area that allows for views down to the water and outdoor living from upstairs as you circulate through the home. 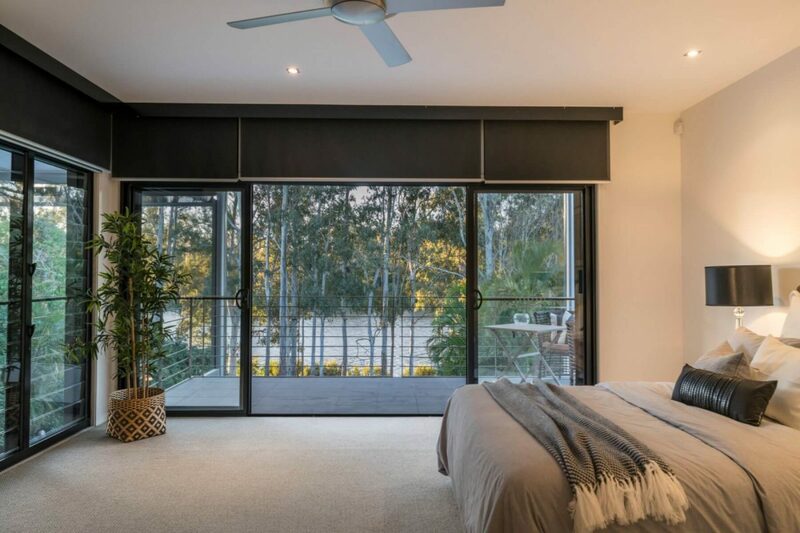 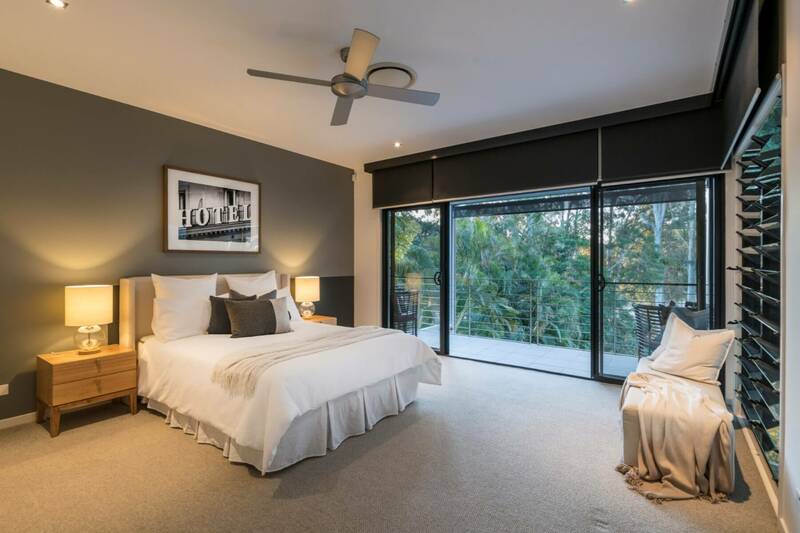 In addition the bedrooms upstairs are connected to the garden and views with large decks that sit within the two storey high outdoor living space. 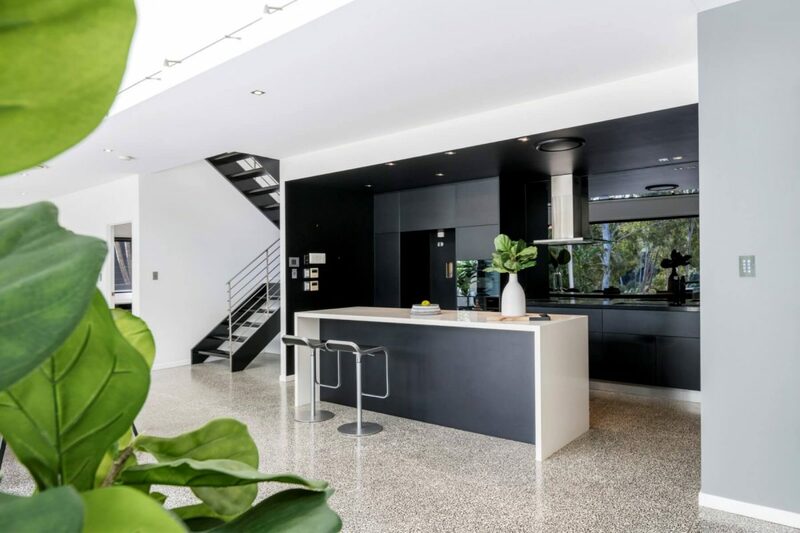 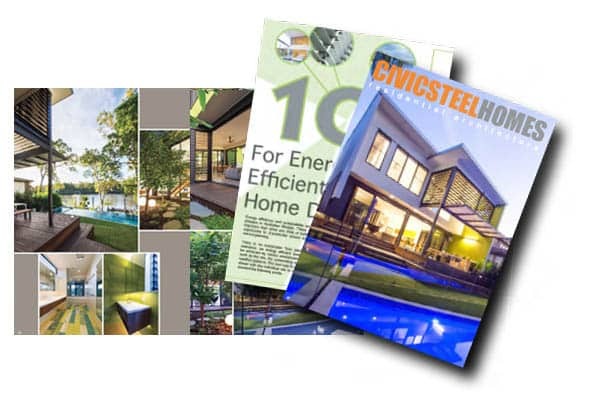 This is a clean, contemporary design that has stood the test of time. 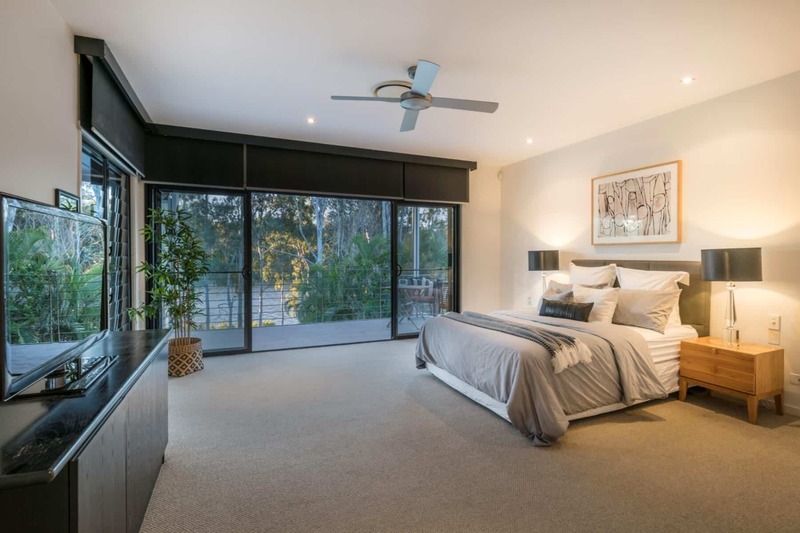 These photos were taken in 2018 when the original owners sold the property after the kids had left home. 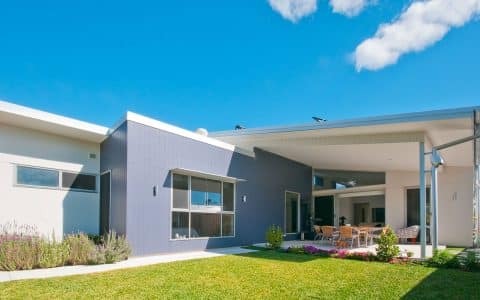 The original design was completed over 15 years ago, by the same in-house architect who is part of our small, close-knit team today.